The eyes are vital organs essential to our being productive as humans. As the famous cliche goes, the eyes are the gateways to the soul. In as much as our eyes are vital, they are also prone to damage and diseases. Aging is one of the factors that could hasten eye sight loss and the emergence of certain eye diseases. With proper nutrition and a healthy lifestyle, you can stave off a deteriorating eyesight. Research by leading Ophthalmologists indicates our diet is a major factor for Eye problems like Glaucoma, macular degeneration, and cataract. 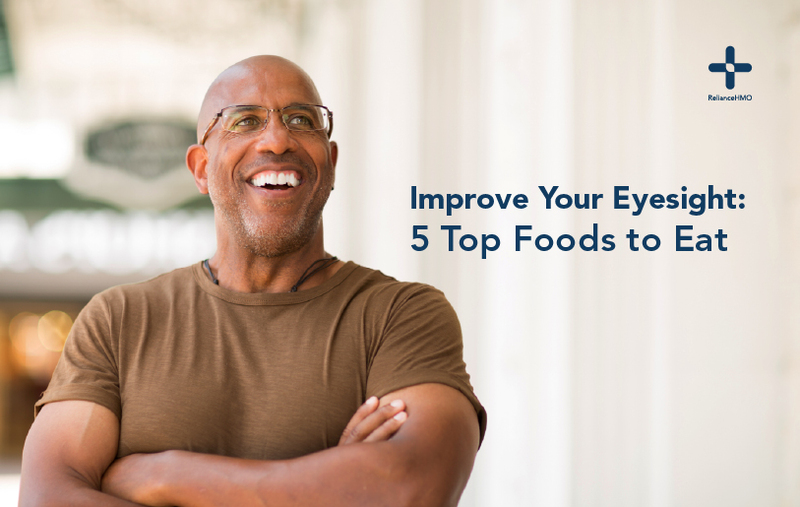 Foods rich in Omega 3 fats, Lutein and Vitamins A, C and E are essential for a good vision. Ensure your diet includes more of these nutrients or consider consulting your doctor about nutrient supplements. Oily fish like sardines, anchovies, mackerel, tuna, and Salmon are rich in Omega 3 fatty acids. A study by the US National Eye Institute states that omega 3 fatty acids help to protect adults from both dry-eye syndrome and macular degeneration. Spice up your diet with oily fish to help protect against dry eyes, cataracts, and macular degeneration. Night blindness can sometimes be a symptom Vitamin A deficiency. If you suffer from a vitamin A deficiency, eating carrots will improve your vision. Carrots are rich in Beta-carotene, a type of vitamin A that gives it the distinct orange colour. The Beta-carotene helps in maintaining a healthy cornea and optimizes perception of light at the retina. Eggs are rich in vitamins and nutrients including vitamin A, lutein and zeaxanthin plus zinc. Always including eggs in your diet to reduce your macular degeneration risk. Oranges are rich in vitamin C, which has been shown to reduce the risk of developing macular degeneration and cataracts. Eat more citrus and berries to get stave off vitamin C deficiency. Almond nuts are rich in Vitamin E, which research indicates may help shield the eyes from free radical damage. This means the cells of the eye are protected from the resulting oxidation of UV exposure and have a reduced odds of age related macular degeneration. Watch Out For Warning Signs Of Vision Problems Whenever you notice eyesight problems, you should see an eye doctor right away. Next Post Next post: Is that Pain in Your Chest Heartburn or an Heart Attack?